LIFE, MAN. – Hello? I Forgot My Mantra. Published on August 14, 2014 by i forgot my mantra. I haven’t blogged since Monday because, well, I’ve been bummed out. The death of Robin Williams bummed me out. Lauren Bacall’s death bummed me out. This situation in Ferguson is angst-ing me out. And now I’m pretty sure one of my contacts is stuck in my eyelid and I don’t know how to get it out. 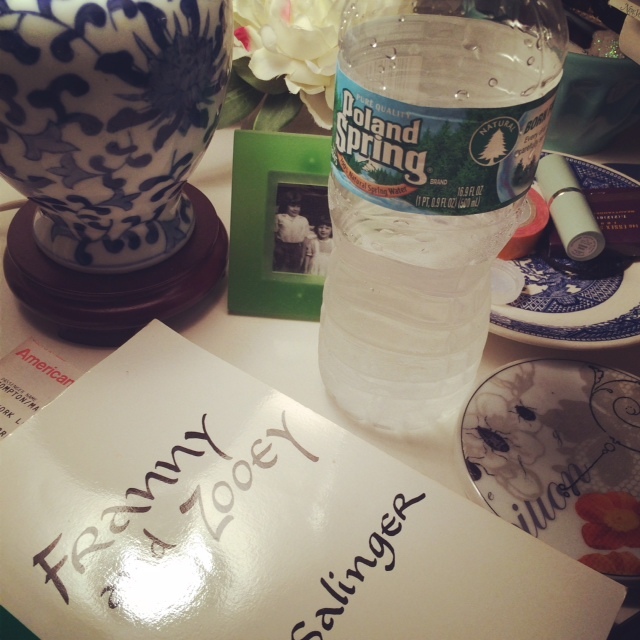 So, last night I came home from work and started reading Franny and Zooey and drinking water. Because really, all I can do is hydrate and read some Salinger. Great book choice!! I am making my first year students read it — heaven knows what they’ll think, but it is a wonderful book. Hang in there!